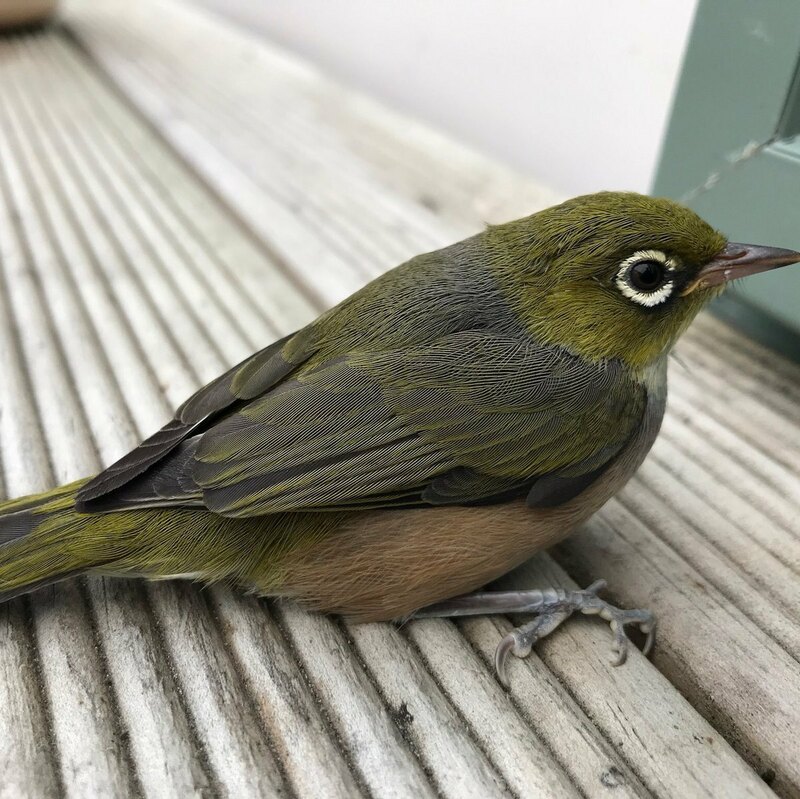 This evening when I arrived home that little Silvereye was back and waiting by the door. I had to almost pick it up before it moved. Great opportunity for a good closeup with the iPhone though.